The Athena herself is build to be easily refited and also got two hangars to hold several small ships, so she can be used as a light carrier, if necessary. For decades this ship has been the backbone of the fleet. Still she mostly acted inside the borders. Therefore she traveled through warpgates and wasn't normally equipped with her own warpdrive. 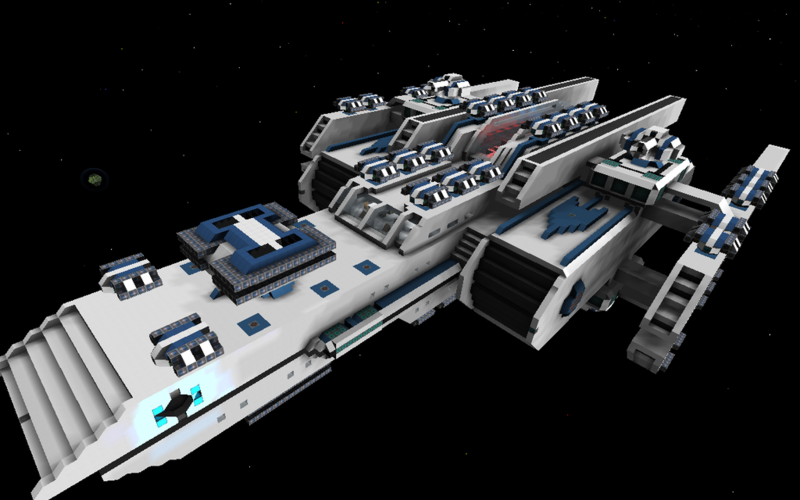 The main hull has basic shields, engines and livesupport but no weapons at all. It is very uncommon for an Athena to leave the drydock in this state. 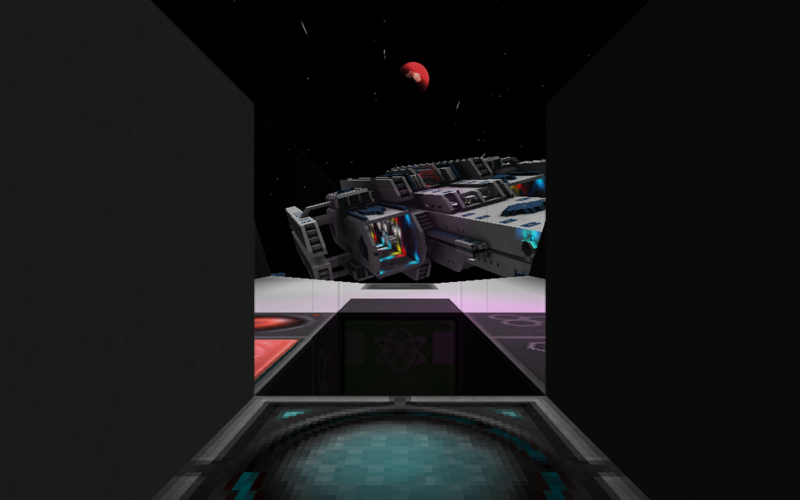 This modification has strong shields and mostly uses point defence turrets. Although she has a few missile lunchers to attack with, her main occupation is to hold a possition on the front and take most of the punishment. The Assault cruiser is meant to be a damage dealer. 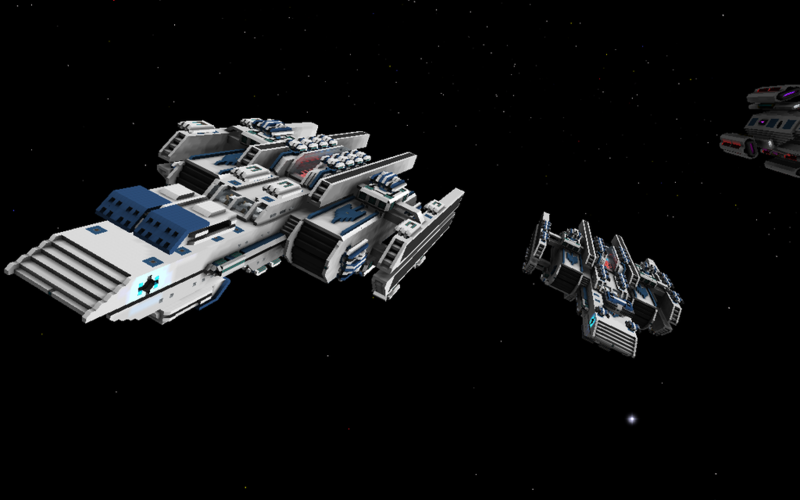 She has a lot of missile turrets and a fixed dual cannon with piercing effect. - The old variants CA and CD still use the old docking system. It can't be mixed with the newer rail system. - 1.4 The basic frame (CC) has been now updated with rails and a little bit of logic. Also I'm now using external links since i can't upload directly to this side anymore. Where is the faction module on this? Other than that, I give a 10/10, especially for the 66 turrets. Well, thanks. Altough i probably will take on a heavy refit on the ship, when i have the time. When you enter the bridge, just go left. It's between the first consoles (deko blocks) on the wall. BOBBY MODULE please. Where is? Since i don't really play online, i don't know this either. To ensure they can't be taken, you can claim your docks aswell. I worked hard to get the basic materials for this ship. Very hard and long. But finally the moment was there... I spawned it and I was VERY happy when it appeared. 66 turrets! And beautifull ones at that. 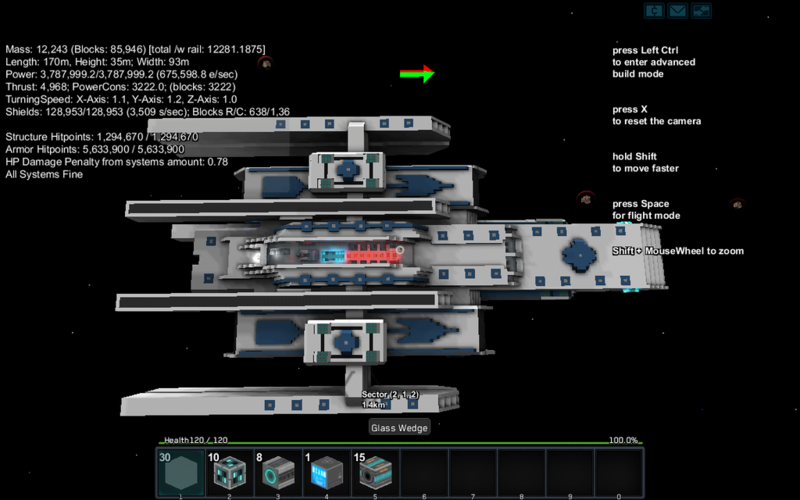 Then I tried to dock the ship... only to find out that as long as there is even a single block of the old docking system present on a ship YOU CANT DOCK WITH THE NEWER RAIL SYSTEM. So I had to remove every block of the old system. 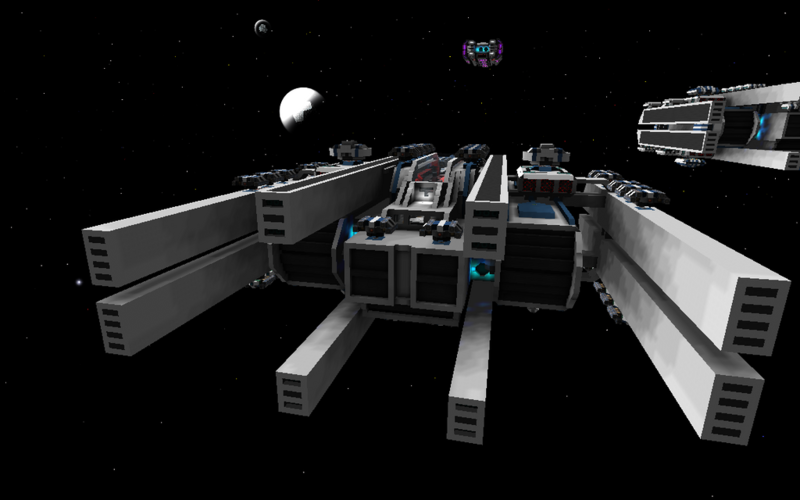 EVERY SINGLE TURRET had to be dumped into space just so I could park this ship. Maybe you could have warned me about that? That sounds like quite the hassle you had there. Honestly, I don't pay that much attention to this old upload anymore, though i considered updating it for the new system. But at the moment this many turrets would cause unbearable lags unless they can move in 360° on both axes wich again would affect the look of the ship as a whole. But i guess your right. A little warning can not hurt. Sorry you had some trouble for this. Hopefully these external links do it, if only I knew now how to get that "broken warning" out again.